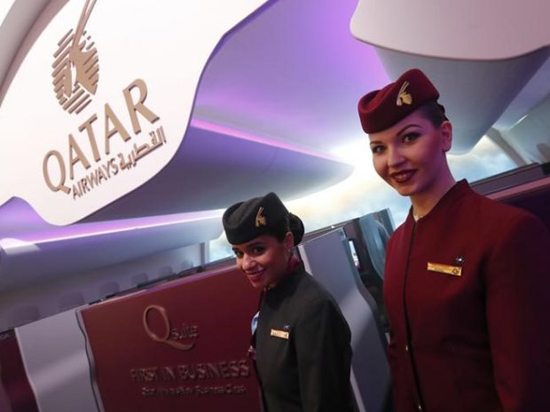 So what makes a Qatar Cabin Crew job or Flight Attendant Career in the Middle East great? You can only imagine the benefits of landing a job as a steward in the airline industry. If you choose to be part of the cabin crew team in Qatar Airways, you are taking advantage of the privileges with one of the best-paid airline companies in Doha, Qatar. Note: This list is taken from the Qatar Airways website and may change in due time. Open-Ended Contract for Three Years – Once you get hired, you’ll be signing a contract for 3 years which means that your career is guaranteed and you get the same regular benefits as that of a regular employee. Above Average TAX-FREE salary plus meal allowances (depending on the location of layovers). – just mentioning how much you are going to earn on a monthly basis is truly something to look forward to. Plus, you don’t have to worry about your meals because it’s all accounted for! Starting Bonus – who doesn’t want to get a good salary at the start of their working career in one of the best airline companies in the Middle East? Transportation – Once you also go to work, you will be provided with free transport to your office. Comprehensive Health Benefits – This is another important factor that are overlooked but you can see that once you get hired, you will be provided with more than the necessary medical coverage which is truly a need for this high-profile cabin crew career. Life Insurance – Definitely this life insurance benefit will get you covered once you sign the contract. Fully furnished Accommodation – Aside from the free food, you also get FREE lodging with your own bedroom. No need to worry about where you are going to stay because Qatar Airlines will be there to provide you this basic necessity! End of Contract Rewards – When you are rewarded for rendering your service for 3 years, it feels extra special knowing that you are given a package to make you remember how good the job as a Qatar flight attendant. Travel Discounts on Qatar Airways and Partnered Airlines – Not only will you get a high-paying job with free basic necessities, you also get paid to travel as a Qatar Cabin Crew! the world! Who does not want to explore the other side of a continent on their days off or paid time off? Surely, you can truly call your Vacation Leaves as Vacations! With all of these Qatar flight attendant crew benefits given, I am not sure why you will still opt for another job path. Come and join and apply as a cabin crew in the Middle East! Surely, there will be more opportunities and benefits for growth along the way.